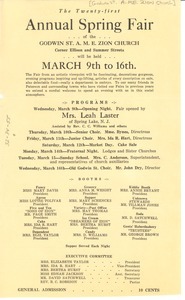 Paterson (N.J.) - Advertisement for the 21st annual spring fair. 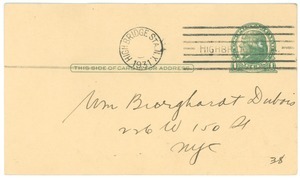 154th St. Viaduct Garage, Inc.
New York (N.Y.) - Postcard advertising parking garage. 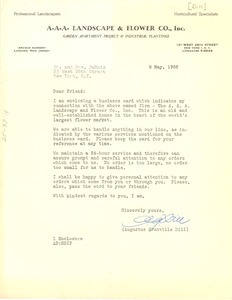 Addressed to W. E. B. Du Bois. 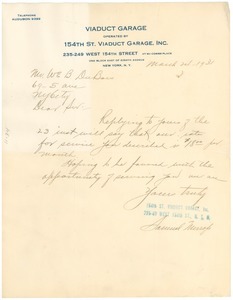 New York (N.Y.) - Concerns monthly rate to park and service Du Bois's car. Philadelphia (Pa.) - From J. B. Hoptner. Seeks new African American writers to submit work to literary magazine. 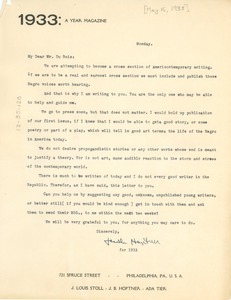 Asks Du Bois for recommendations or referrals. 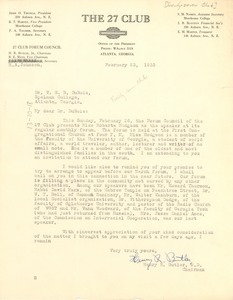 Atlanta (Ga.) - Concerning an invitation to attend an address by J. O. Thomas at the Atlanta University Dining Hall. Atlanta (Ga.) - Inviting him to a lecture by Tuskegee Institute President Frederick Douglass Patterson at Atlanta University on April 28. 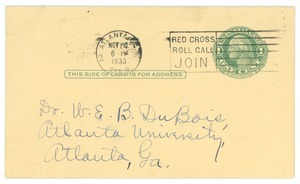 Atlanta (Ga.) - Admission ticket for W. E. B. 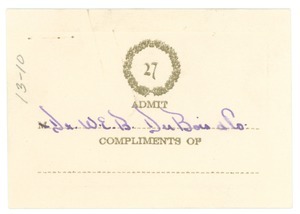 Du Bois, presumably valid for the formal dance given December 27 (see mums312-b076-i257). 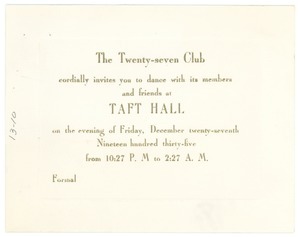 Atlanta (Ga.) - Inviting him to a formal members' dance at Taft Hall on December 27. 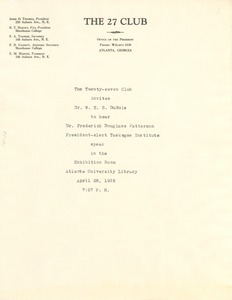 Atlanta (Ga.) - Concerning an invitation to attend the Club Forum featuring Roberta Hodgson and a possible engagement with Du Bois at the Forum. New York (N.Y.) - Mentioning that they are a well-established business in the heart of the world's largest flower market and can handle all jobs.